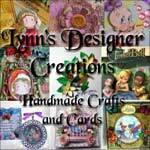 Conditions of Use : designs-n-stuff, Commercial Use Clipart Graphics and eBooks instant downloads for all your Scrapbooking and card creating needs. Use templates in eBay, quicksales (OZtion) and maybe any other similar selling sites. Templates are not to be freely given away on a blog or anywhere on the internet. They do not have resell rights or give-away rights. Everything on this website is copyright. If you purchase any products, they will all have individual terms and conditions so please read them carefully. These terms will be updated once more products are stocked so please check back at a later time. Any questions? Please don't hesitate to contact me. designs-n-stuff.com is a Licensed Reseller for ResaleClipart.com (License ID #815) and has permission to use their previews. YOU MUST state that you are a licensed reseller of designs-n-stuff.com within your description wherever you sell the sets, for example: Licensed reseller of designs-n-stuff.com for original art by ResaleClipart.com (with clickable links where possible). You do not need to purchase a license to resell this set. 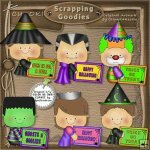 You must not sell sets for anything less than $1.00 or give them away as a freebie on your site, blog or anywhere. You cannot sell sets on more than 3 sites. You have permission to use designs-n-stuff Commercial Use previews included within this folder, or create your own to sell sets on your site. You are not allowed to use Resale Clipart previews. 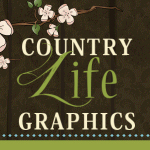 Your customers MUST NOT sell any clipart sets but they can use clipart for their personal or commercial use projects. Original artist's names will appear on all previews and product descriptions. Credit for the original artwork should be stated as '(your project name) created using artwork by Artist's name here' on all web pages and packaging where the designs are displayed. designs-n-stuff.com is a Licensed Reseller for ScrappingGoodies.com and has permission to use their previews. Web Designers may not include graphics, as a graphic when you build your websites for sale or for free. The artwork may not be used in any type of mass production and when using in digital scrapkits, they must be merged/flattened onto something else (such as a frame, tag or background paper), you may add a sticker border or texture. designs-n-stuff.com is a Licensed Reseller for Clipart4Resale.com and has permission to use their previews. There are more sites to credit so please always check the product's description first.